Many people are curious about my plans. Some of my closest family and friends might be a little concerned too. I thought I would write a few ideas down to explain my non-plan. Please use the comments section below to ask any other questions you might have. I am wide open to constructive dialogue, but I will not necessarily defend or explain my particular choices ad infinitum. This is a lifestyle choice that is out of the mainstream; not only do I accept that, I revel in it. Further, I may not be able to explain my plans in words that everyone will understand. This is not my problem, it is theirs. There are a few things that I want to do to Bella in the spring. I will be making a dodger and possibly a bimini. There are some organization and preparation details to take care of. The interior cushions could be reupholstered. I need to make some decisions about batteries, solar and wind power generation and the inboard diesel. There is a slightly better than even chance that I will pull the engine and replace it with some kind of sculling oar, Chinese or Bahamian. These are real propulsion options. Check out a couple Youtubes: here, here or here. The sails are in quite good condition, but I will be going over them closely to be certain. Also, I will have the marina tune my standing rigging before she goes back in the water. The first part of the my vague plan begins around July 15, 2015. Bella and I will begin to move toward the Bahamas. We will sail up and over Michigan, out the Erie Canal to the Hudson River, to the Atlantic at New York Harbor and then south through the Intercoastal Waterway to Florida. I have a tentative schedule to meet a fellow sailors in the Bahamas next winter. 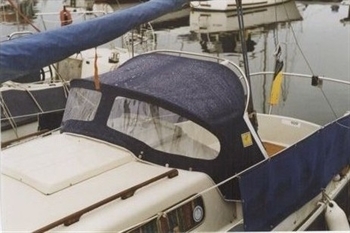 We are all regulars on Sailfar.net, a discussion board for small boat sailors. By starting in July I will have a fair amount of time to wander as I go. This is not a boat delivery where I have to go straight from Muskegon to Green Turtle Cay on a schedule. I will have three or four months to do four or five weeks of sailing. I want to get near Jacksonville before mid October simply to avoid getting too cold. 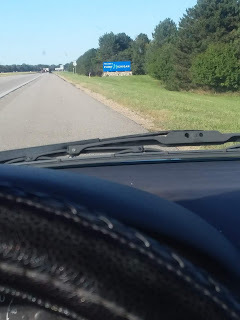 Hopefully, as I wander my exit from the Great Lakes I can have people join me for parts of the trip. Keep an eye on social media for arranging to make a passage, if possible. In early 2016, after a couple months or so in the Bahamas, it will be time to come back to the States and find a good marina. I will work nearby and eventually have the boat hauled out of the water. In May 2016, I'll come back to Michigan, probably by bus, and spend a few weeks here around a graduation party I am committed and honored to attend. Then I will go back to Bella. There are some additional boat maintenance and upgrade possibilities that I will do at this time. I'll likely work some more again. 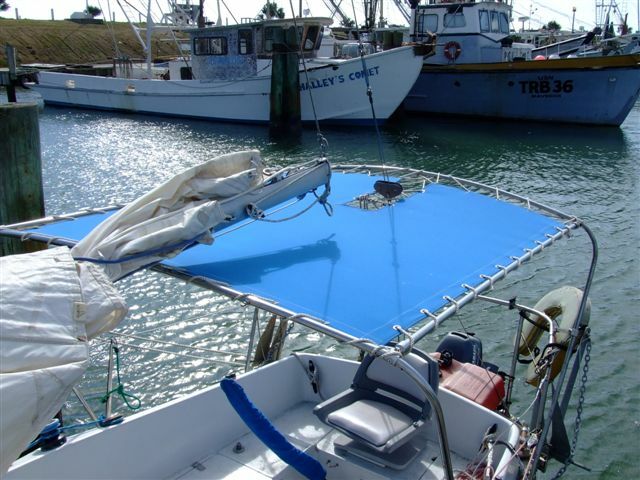 Replacing the standing rigging is a possible project. I might also resurrect the stove side of the galley that the previous owner took out. Unless I get north of Florida when I come back from the Bahamas, it will be hurricane season until November so I'll have time to do some boat work as needed. With these upgrades, Bella will be ready for some serious sailing. We are going to explore the Caribbean Sea. 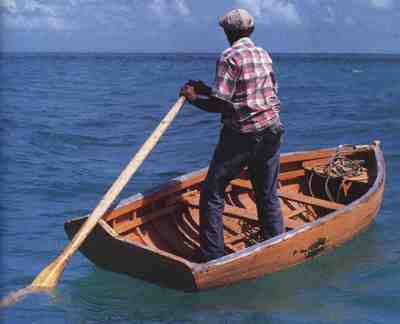 Once again, hopefully some friends and family will join me for a passage or meet me on some island somewhere. 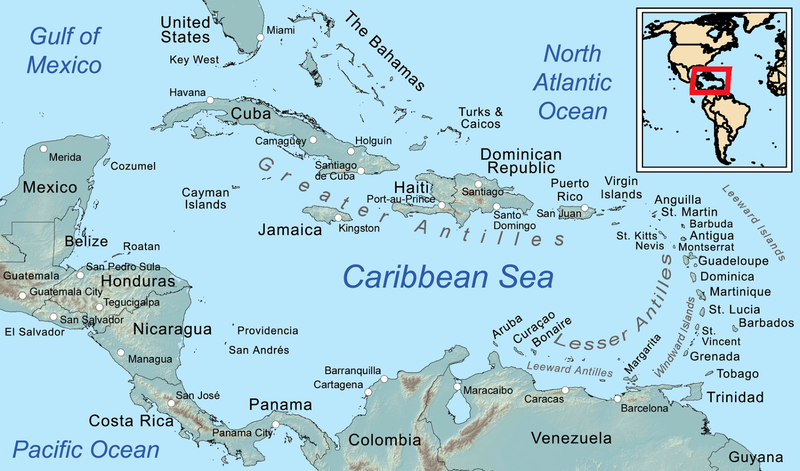 The Caribbean Sea is over a million square miles. A sailor could never explore it all. The Caymans, Jamaica, Hispaniola, Puerto Rico, USVI, BVI, and maybe the Lesser Antilles are all on my mental list. I would like to explore Central America as well. The Rio Dulce has stuck in my vagabond heart since I read an article in Cruising World Magazine twenty some years ago. And I'd like to see Costa Rica and Panama as well. There will be no schedule or plan. If I love a place, I'll stay a while. If I hear about some other cool place, I'll go see it. If I start cruising with other boats, I might go where they go a few times. When money gets low, I'll wander back to the States. In my voyage dreaming I would really like to cross an ocean. I don't think I am ambitious enough to think about circumnavigating, but an ocean crossing is very possible; probable even. Ireland and Sweden are in my ancestry. I would love to sail there and maybe down to Portugal and the Azores before returning to the Caribbean. Bella could do it with a little prep. We'll see if I can get my brain and my wallet that far. Bella is a very seaworthy little ship. She is an Albin Vega, a Swedish boat with an ocean going pedigree. Vegas have sailed the globe with literally hundreds of ocean crossings. Her accommodations are on the spartan side, but that is right where I want them. I will not have refrigeration or air conditioning for they use too much battery power. Initially, I will cook on the single burner swing stove that I used this summer. There is also have a propane grill hanging on the stern pulpit. Electricity will be supplied by a battery bank charged from solar and wind. I will carry staples like rice, beans, flour and dried vegetables, as well as the some cabbage, potatoes and onions. I will not be a tourist, I am a vagabond. When I find a spot to stay, I will shop where the locals shop and eat what the locals eat. There will be plenty of fresh produce and fruit along the way. I'll also have fishing gear with me. The wannabe chef in me can't wait to learn to cook new things from the people I meet along the way. I will carry a basic prepaid cellphone for necessary communication with governments and marinas. All other communication will be by email, social media and Skype/GoogleChat. This voyage is a bit of personal retreat too. The last thing I want is a smart phone type of tether to the so called real world. Bella has all the required safety equipment plus a VHF radio with GPS and AIS. We will carry a device like an inReach or a Spot so our position will be tracked in real time. The InReach allows for some two way communication as well so I could post to social media and notify about delays, etc. from wherever I am. Further, before setting out on any particular voyage, I will post/submit a float plan. My relative departure and arrival dates and locations will be known. Besides allowing for status updates from anywhere at sea, the inReach and the Spot both have a panic button for emergencies. My safety will, however, be my own concern and responsibility. There will be no reason for reports or inquiries to be made to any authorities if I am overdue. In 2006 I coined the Bubba the Pirate motto: “Eat When You're Hungry. Work When You're Broke.” This is the guiding principle of my non-plan. I will work to fill my “Cruising Kitty,” then I'll go sailing. I will wander until my cash situation is lowered to some predetermined threshold and then I will work again. The Caribbean is a good place to start this routine as with a little planning I can easily wander back to the States to work. An ocean crossing would require a much larger cruising kitty which would have to be preceded by a longer work period. All this will either come together or it won't. It will be fine either way. The only reasonably solid plan is out of the Great Lakes to the Bahamas and then back to Michigan for a time. I'll keep you posted after that. What type of stove would you maybe install?